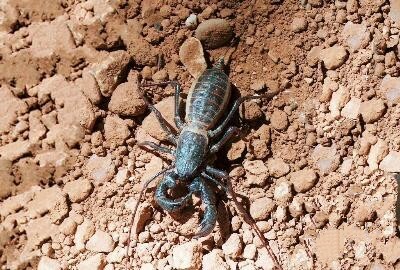 Vinegaroons are an interesting group of Arachnids that resemble scorpions. They can squirt Vinegar from the base of their tails, to startle predators. They are harmless, as long as you don't let them squirt you in the eyes. This species is impressive due to it's size.